You can catch The Masters PGA Tournament, held in Augusta, Georgia, live on the web! 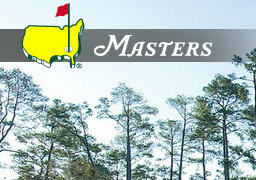 Augusta National is home of the The Masters PGA Tournamenet, and this year is going to be some kind of show! But don’t worry if you can’t catch it on TV, because The Masters just announced that their website at Masters.com will deliver live broadcast and streaming of the PGA Tournament. Masters.com will stream video of the 11th, 12th, 13th, 15th and 16th holes throughout the day, and back-nine coverage of a featured group. The announcement of which groups will be featured Thursday is expected Wednesday. Sirius-XM satellite radio will provide live play-by-play coverage starting at 2 p.m.